Every microcontroller that features an A-to-D converter and a PC interface can be used as a logging device for data acquisition systems. But with the BBC micro:bit you get the bonus of a small LED display and a wirefree interface into the bargain. 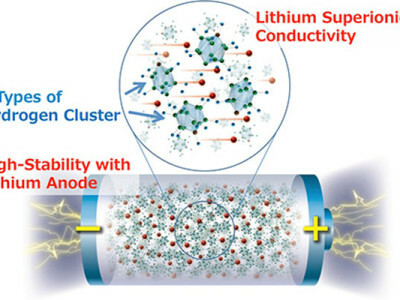 Just the job for special applications in your electronics lab! 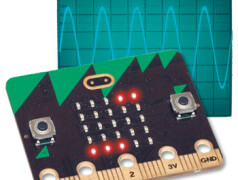 Elektor proudly introduces the world’s very first book on the BBC micro:bit, the credit card sized computer with an ARM processor on it. 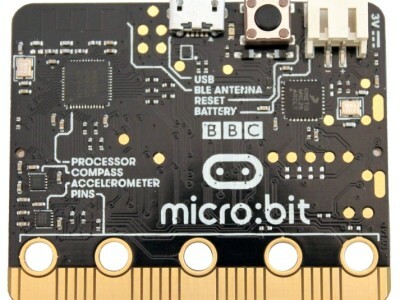 The micro:bit was designed by a group of 29 partners for use in Computer Education in the UK. 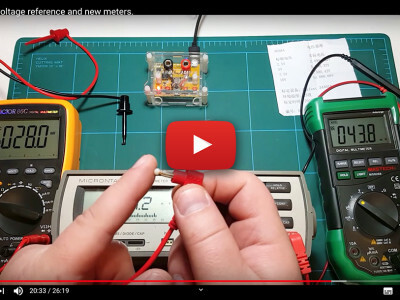 Based on the Cortex M0 processor, it measures 4 x 5 cm and includes a variety of sensors, 25 LEDs, 2 programmable switches, Bluetooth connectivity, a micro USB socket, 5 ring type connectors and a 23-pin edge connector. 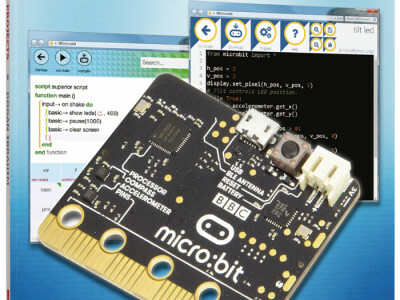 The BBC micro:bit is a small powerhouse loaded with cool functions and supported by a suite of excellent development tools and libraries. 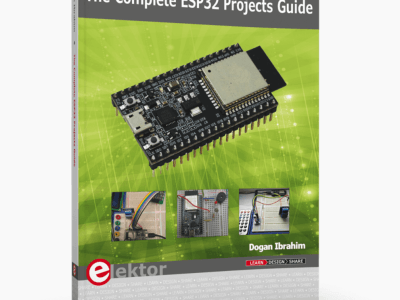 Its edge connector allows access to goodies like GPIO ports, analog inputs, an I²C bus and an SPI port. To show how to use it we build a small weather station for it. 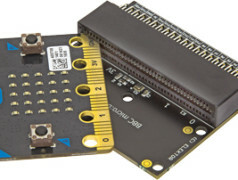 In an effort to show that programming and technology is not always difficult and can even be fun, last month the BBC has started to distribute about one million micro:bit microcontroller boards to eleven- and twelve-year old schoolchildren for free. 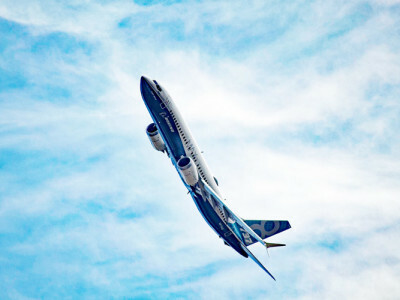 Although simplicity is key, the young programmers will need some guidance to get started. But what to do if the teachers have as little programming experience as their pupils? 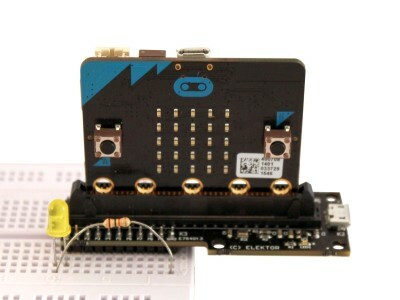 This T-Board allows easy connection of the BBC micro:bit to a breadboard and doubles as a weather station and power supply. After many months of waiting the BBC has finally started handing out its delayed micro:bit boards to schools and teachers. The micro:bit is a small microcontroller board intended to teach programming to 11-year old schoolkids. About one million of these boards will be given away for free. If all goes to plan, the board will also be available from retailers later on. 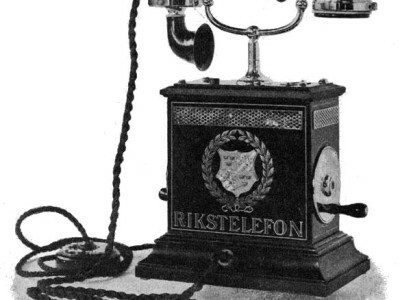 Today 140 years ago Alexander Graham Bell and Elisha Gray were both filing patents concerning what soon became to be known as The Telephone. Two devices connected with a sometimes very long cable allowing people to talk to each other without being in the same room. This invention alone is probably at the root of more than 99% of the electronics industry that we know today.